The term “Oriental rug” is a generic term that applies to any carpet woven by hand across the Eastern world. 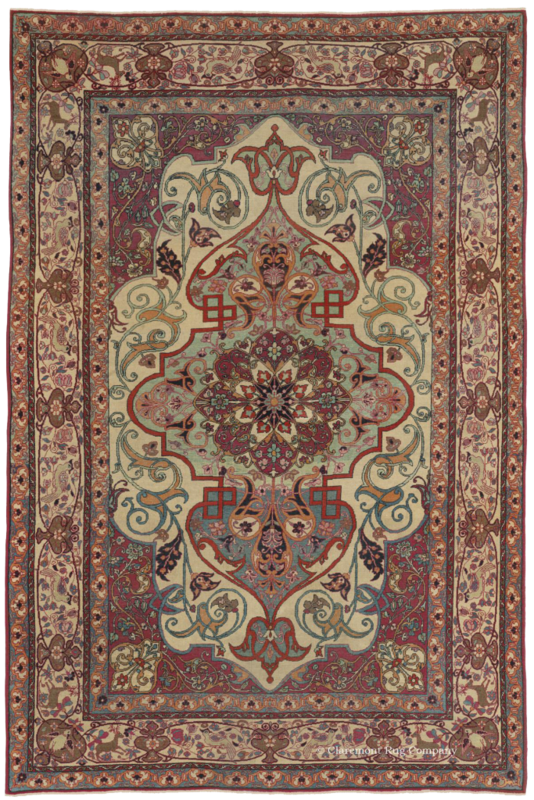 It includes both new production created in a wide area stretching from Romania to China, and antique rugs, the finest of which were created as one-of-a-kind art works in the traditional weaving regions of Persia, the Caucasus, Turkey and Central Asia. The best antique rugs (technically 100 years old or more) possess an awe-inspiring level of beauty that is the result of individually conceived, highly evocative designs; radiant, naturally dyed yarns; extremely luminous, elastic wool, and an extraordinary level of aesthetic balance. Those looking to collect or to invest or who simply wish for the most striking, artful pieces, seek out the finer quality of rugs from the “Second Golden Age of Persian weaving” (circa 1800 to 1910), a period of great artistic accomplishment and a phenomenal range of natural dyed yarns. By the 1930s, Persian rugs became primarily decorative pieces with chemical dyes and standardized designs that lack originality and have very limited resale value. The enormous hand-weaving industry today produces rugs that either emulate the traditional designs or color ways of antique rugs or use nouveau designs and colors chosen for today’s décors. These widely available new rugs should be considered exclusively handsome, highly practical home furnishings. “Knot count,” i.e. how tightly a rug is woven, is an oft-confused topic. It is of great importance in some types of rugs and of no consequence in others. The best antique rugs woven in Persian or Turkish cities employed intricate floral patterns relying on finely detailed, tremendously articulated motifs best achieved through the use of a high knot density of 200-600 knots per square inch (kpsi) and closely cut, evenly shorn pile. In contrast, antique rugs woven in small villages or nomadic encampments feature large-scale, geometric designs with a robust, casual ambiance that is best accomplished through much coarser weaves of 50-120 kpsi and higher cut pile. In later Persian rugs and contemporary carpets, a higher knot count of 150-550 kpsi is a central determiner of craftsmanship. Coupled with the quality of the wool used, kpsi indicates the durability of the rug. Wool quality will differ greatly from rug to rug. High quality wool has three vital characteristics: sheen, strength and elasticity. Because the best, unprocessed wool contains natural lanolin, avoid a rug that is coarse and dry, as its wool is either low-grade or has been subject to chemical washing. Silk rugs are preferred by some buyers, as silk increases the intensity of colors and accommodates a yet finer weave than can be achieved using the wool pile and cotton foundation of the majority of antique rugs. However, many connoisseurs avoid silk rugs because, unlike naturally dyed wool-pile rugs, as silk ages it doesn’t take on patina–a deeply appealing simultaneous softening and heightening of the colors. Also because silk lacks the great longevity of high-grade wool, it wears more quickly and is susceptible to staining. Discover the design styles that draw you in and enhance your particular decor—geometric or floral, spacious or dense, center medallion or all-over pattern—will help to narrow the field. See if the color palette is harmoniously balanced and to your taste. Consider the lighting where the rug will go. A very well-lit area can accommodate a subtle design and quiet, tonal colors, while an under-lit space needs a rug with a bolder pattern and saturated high-contrast colors. Be sensitive to the intimate quality of how much a particular rug speaks to you. 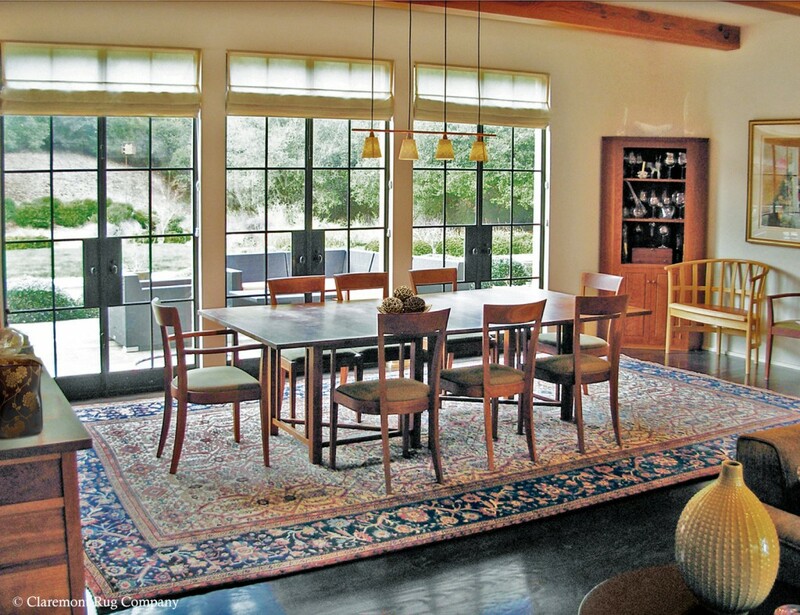 Until you become familiar with how Oriental rugs perform in your particular setting, see a rug in the space it will occupy before buying it. When viewing a rug, first look at it as one complete composition, without focusing on the details. Endeavor to take it in as a whole before forming an opinion about it. Antique rugs in particular often are sophisticated art objects that were woven over years by a team of dexterous weavers. Thus, their intricacies and level of overall impact cannot be seen upon a cursory glance. Then, examine the rug’s various features: the colors, its pattern language, any intentional design asymmetries and nuances of hues the weavers have employed. Looking at the rug globally, then in detail can reveal the rug’s level of aesthetic harmony and artistic impact. Sensitive viewing of an antique rug can be both a profound emotional and intellectual experience that heightens your feelings and intrigues your mind. A rug with this virtue will bring tremendous ongoing pleasure. To aid my clients, I have created two educational tools: The Rug Market Pyramid™, which divides all hand-woven carpets on the market today into six distinct levels and my Nine-Point Methodology™ that examines the key determiners in considering a rug for purchase. 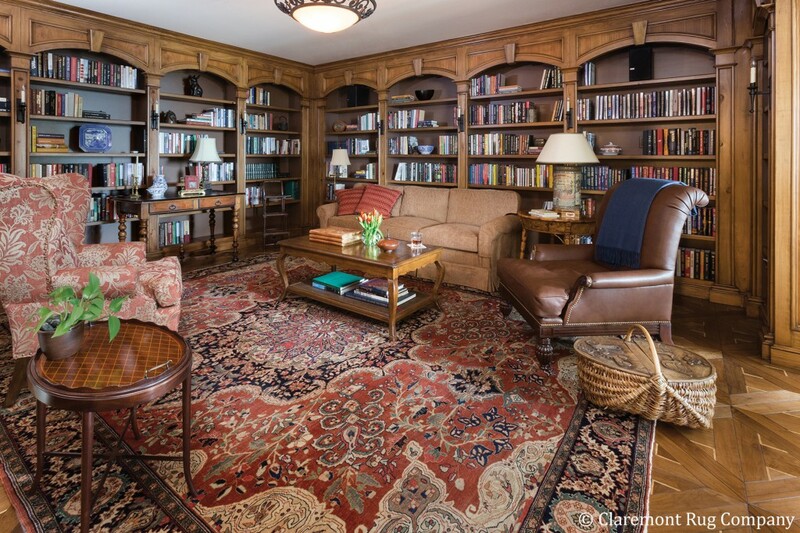 Read these and numerous other articles I’ve written on decorating, collecting and caring for Oriental rugs in the Education section of the site.